van Eijck, D.J.N. (1996). 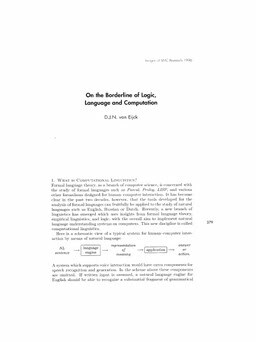 On the Borderline of Logic Language and Computation. In G.Y Nieuwland (Ed.), . Stichting Mathematisch Centrum.